Over New Year I knocked up this house. 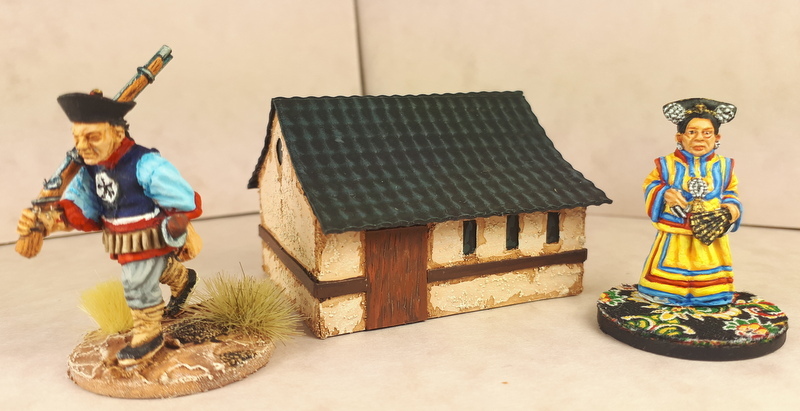 an idea I have been flirting with for some time but as my attempts at sculpting are proving inadequate I will just have to wait and hope someone releases a Taiping or Boxer range in 10mm. And then Victorious released a figure I have wanted for a very long time and I had to get one. "A jewelled sceptre plucked by order to serve their cause"
Wow those colors are exquisite! Beautiful work! Great to have you back in the Sino-painting fold! Your Empress is top notch Some really brilliant yellows. Care to share your recipe on the yellows? Svenn, great brush work AND basing! Your speed painting is way better than my diligent painting. I look forward to what you come up with next. Very good. And good to see you back. GreT to see my old mate Bagovich back at the brushes. I was only thinking about you over the weekend. My bad for not dropping you a line. 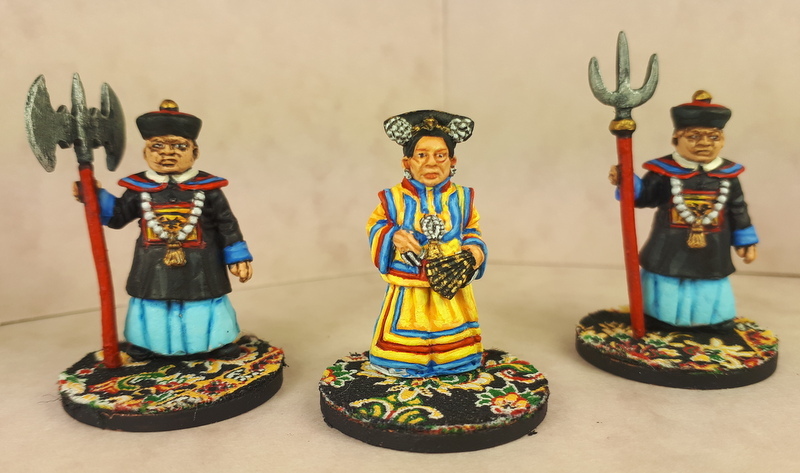 Great paint job on Cixi and I do love the carpet bases, what a great idea. Keep an eye out for future releases. Lon, nothing special on the yellow. It is three layers. A Golden Yellow followed by a standard Yellow and topped with a Lemon Yellow (or standard plus white). All cheap but nicely pigmented craft paints. The secret, if there is one, is to find the right pots of paint - you will probably have to discard quite a few like I have before you hit pay dirt. And of course I use a white undercoat.